What's the difference between Pardus and Ubuntu ? There are many years back I use old Pardus (he had his own programs that I could not find anywhere else), and I passed to Ubuntu. I am come-back ton Pardus (XFCE) and I find my brands and my favorite programs of Ubuntu/Xubuntu distribution. So I ask what’s the difference between Pardus and Xubuntu ? That brings the team Pardus more and that I do not see ? The idealogical difference is both ubuntu and Pardus is debian based but ubuntu has more labor. The old pardus however was based on Gentoo. Debian is Debian and Ubuntu is Ubuntu. Both systems are not 100% compatible. Yes Ubuntu developed from Debian and a lot of stuff from Debian works just fine in Ubuntu but not vice versa. Debian is maintained by the community, Pardus is maintained by the community and by TUBITAK and there is a lot of awesome codecs, propietary-stuff and security related stuff out of the box in their own repos. While a lot of propietary stuff isn’t included by default in Debian, if you don’t youse the propietary firmware Debian. I mean the non-free Debian. In conclusion both systems are very similar but not the same. And Canonical is a very large enterpise with a lot of monetary resources hence they are able to give the folks the most cutting edge Software and a very high level of professionality. For a very low price. Like Amazon search button popularity contest geolocation whopsie and all the other tracking garbage. What will TUBİTAK do better than Canonical ? National data will remain with us. What could be better than that? 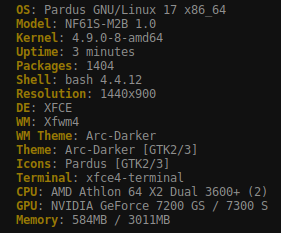 Once i tried the Pardus for my old hardware then i stop to trying distros. Now on my old pc i can browsing the internet, managing my media and reading documents etc. I mean i don’t know what’s happening in deep but as i see Pardus let me use my old pc. This is not making a sense for foreigners. If we talk about privacy Ubuntu also has respect for privacy. It’s free and opensource. I think @martinus want to know more evident differences. I evaluated it in terms of nationality. I think @martinus want to know more evident differences. Pardus is a Debian (.deb) based operating system. The difference from other distributions is that they are equipped with new and latest technologies. In short, the most recent improvements are always the next layer of other distributions. In this Pardus, the margin of error is always low. Another issue, XFCE default desktop application and Pardus has chosen it because of speed. We are very pleased. There are other applications written by the Pardus team. With competing applications such as cyber security and Active Directory, it is already becoming more powerful than other distributions. Also our developers are constantly active in the forum. For this reason, we are able to communicate deficiencies and problems directly to them. For this reason, it will be added to the program and resolved as soon as possible. You’ve been asking; “Why Pardus.” Has the answer convinced you? In the meantime, we use 4.9.0.8 linux kernel, so that we don’t have to worry about missing drivers and all devices will work.